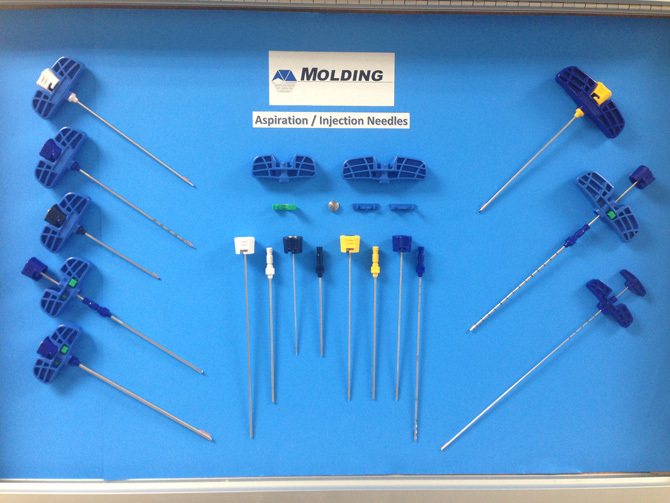 NeedleTech has an impressive Molding Department, complemented by a Design Group, Plastics Engineering and a Support Tool Room. We possess 21 Vertical Insert injection molding machines ranging from 10-50 ton presses. 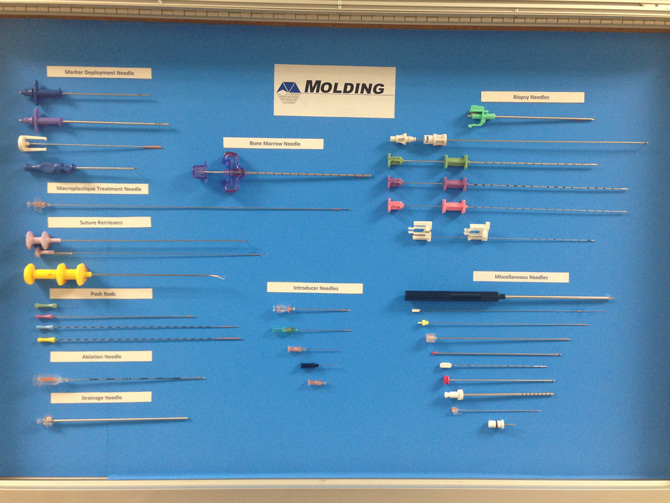 Most work performed within the Molding Department involves the insert molding of Luer Hubs onto either needles or catheters. Due to an ever-increasing demand for such services, this department, which utilizes state-of-the-art machines and material handling equipment, is constantly expanding. Custom Products comprise the majority of what is molded each day, although our customers often choose to utilize one of the many standard Luer hub designs that NeedleTech has to offer.